Focused offers an intensive SAT course unlike any other, with 42 hours of in-class preparation and weekly full-length practice exams. Taught by some of the most highly qualified SAT instructors in the nation, our lessons cover the redesigned reading, math and writing standards. Over the past 5 years, Focused has guided almost 40 students to perfect scores and more than 200 to scores above 2300. We plan to have even better results teaching the Redesigned 1600 SAT, with our new online interface and individually tailored course curriculum. Students who still wish to improve their scores after taking our 42 hour SAT course have the option to take our extended course, Study Group. Study Group is a 24 hour class, complete with weekly practice tests, led by one of our master coaches and features additional material that gives students a different perspective of the test. We will begin offering this program at the end of the summer, starting with a Study Group leading up to the October SAT. Taking a Study Group course provides students with an opportunity to further improve their scores. Since students are already well-versed with the Focused Method, the Study Group allows them to further expand their knowledge and develop their test taking skills in an environment in which they are already familiar. On average students who take study group gain an additional 100 points after their initial improvement from their time taking the class. Private tutoring is advised for students who feel that they learn better one-on-one. Private tutoring is also best for students with extremely unusual or demanding schedules which would prevent them from regularly attending class. 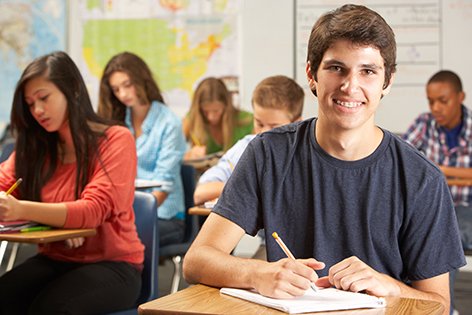 Finally, private tutoring also is best suited for students who only have a problem with a particular part of the SAT: the reading section, for example. Usually small group tutoring is advised for students who are high scorers and are looking to close the gap on the rest of their score. Groups range in size from 2 to 6 and are booked in either 25 or 35 hour blooks. Finally, small groups are best for students who want to work with friends but who feel like the size of a full class would be overwhelming or intimidating. If you would like to learn more about our services or have any questions about the enrollment process, please give us a call, send an email or click the link below to try our live chat. We would be happy to assist you in any way possible.